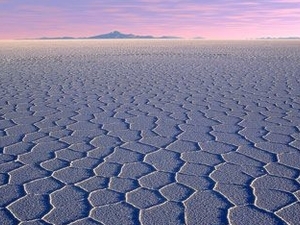 • Uyuni salt lake. Nominated as natural wonder #1 in the world. 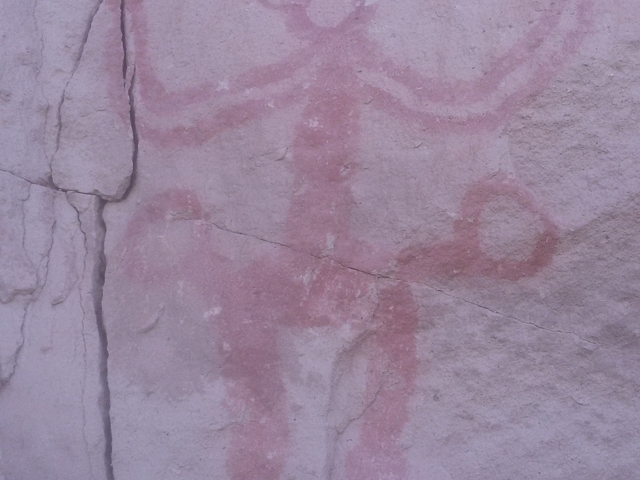 • Visiting Sucre and Potosí, where the Spanish power was concentrated. 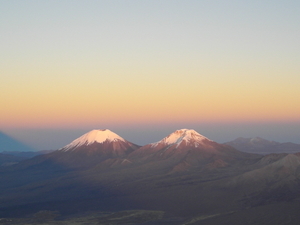 • 3 passes over 4500 m.
• Spectacular views of glaciated peaks of Condoriri mountain. • including wilderness camping at Jurikhota glaciar lake. • 2 nights hotel in Laguna Colorada ( Villa Mar) and San Juan. 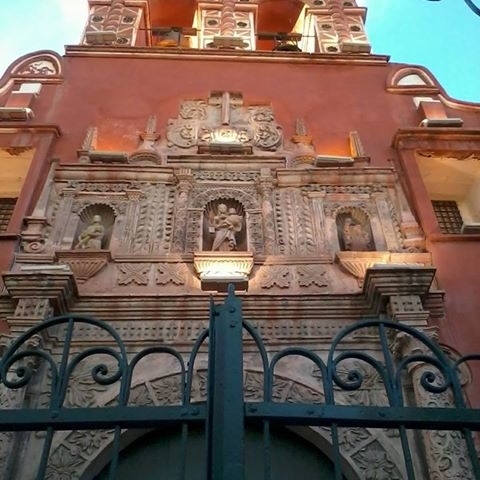 • 3 nights hotel in Sucre .Hotel de su Merced. Flight Sucre -La Paz. • Dining tent, kitchen tent, tables, seats, first aid kit and utensils for your meals. • All meals during the hike. 07:30 Pick up from Hotel in San Pedro Atacama. prived transfer to Hito Cajones. will cross the Salvador Dali desert , whose bizarre wind-carved rock formations sometimes appear to defy gravity. The ‘Rocks of Dali,’ so named because the wind-sculptured forms suggest the creations of the famous Spanish surrealist painter, are found in this and some other valleys. Day 3.- : SAN JUAN - UYUNI SALAR – COLCHANI. 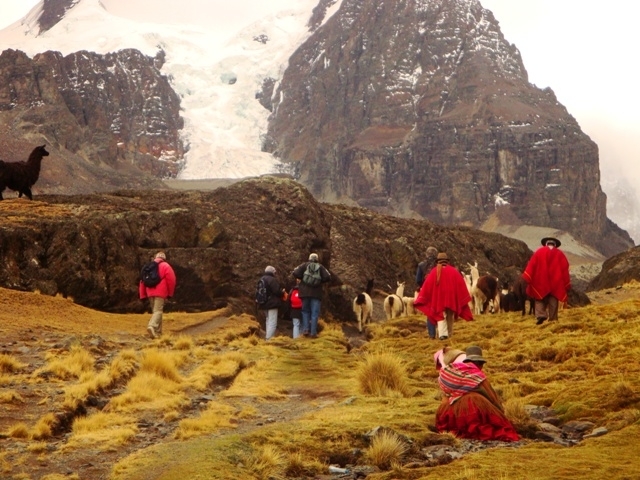 Today you will visit "isla Incahuasi. Despite the island’s inhospitability, a unique fauna, including viscachas (long-tailed Andean rabbits), colibris (green hummingbirds which feed off of the giant cacti and which tire quickly in the thin air), as well as lizards and insects survive here. 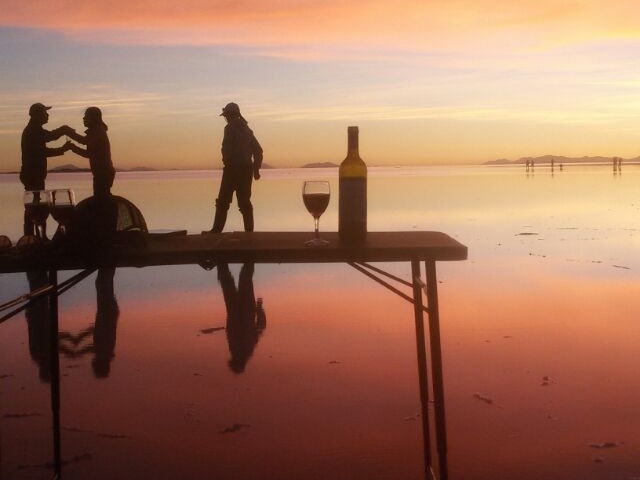 Day 4.- COLCHANI – TUNUPA TREKKING –UYUNI. Trekking to Tunupa Volcanoe with magnificent view of the salt flat and the volcanoes. 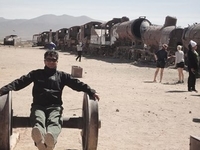 We will ascent to the base of the volcanoe Tunupa and we will come back to the base, in the afternoon, we will cross the Uyuni salt flats to Uyuni city. Breakfast included B. L.. Hotel Jardines de Uyuni. Day 5 : UYUNI -PULACAYO - POTOSÍ / CASA DE LA MONEDA (HOTEL COLONIAL). 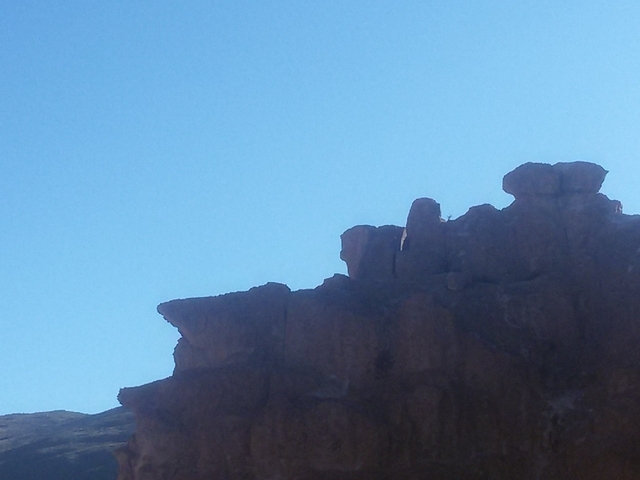 Departing from Uyuni, you will be transported onwards to Potosi - This journey will take around 4 hours. 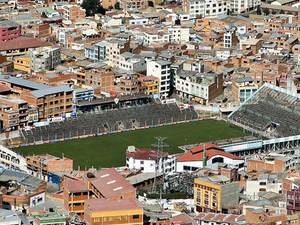 Potosi is the world’s highest city and was at one time also one of the richest, thanks to Cerro Rico (Rich Hill), which has been pouring out thousands of tons of silver, lead, zinc and tin since the first vein was discovered around 500 years ago. 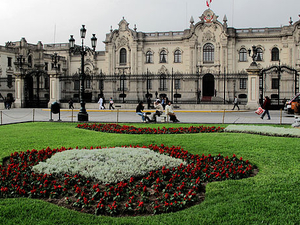 In the afternoon We’ll visit the casa real de la Moneda and magnificent colonial buildings. GHostal Colonial B. Day 6: POTOSI / CERRO RICO MINES - SUCRE (DE SU MERCED). 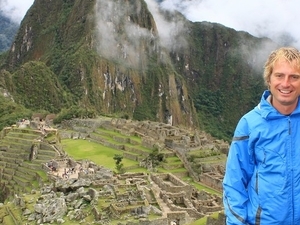 Day 10 : LA PAZ - COPACABANA - YAMPUPATA TREKKING - SUN ISLAND – YUMANI. 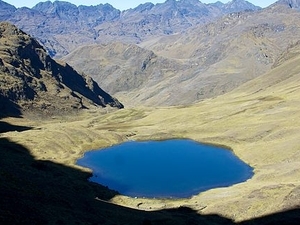 Trekking to Isla del Sol (4h) with magnificent view of the lake and Inca terraces. Also some local villages till Yampupata. We will cross the peninsula of Yampupata by boat to Yumani. Camping. Breakfast Lunch and dinner included B. L.D. The trek starts along the crest of the Island . We cross the village of Yumani, challapampa till Chinkana temple 4/5-hour walk. A boat takes us from this place to the old Inca Palace of Pilkokaina. Back to Copacabana by Boat and 4wd car to Laguna Ajwani. Camping. Breakfast Lunch and dinner included. B. L.D. Camping. We start hiking to a first pass at an altitude of 4920 meters, then we take our time to reach laguna Jistaña (el. 4660 m.a.s.l.). 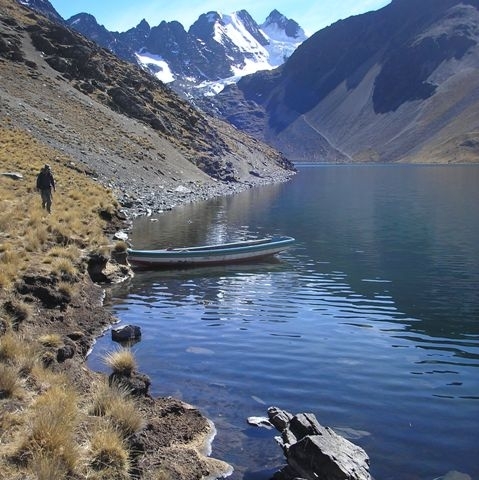 From laguna Jurikhota, we ascend to the Andes at an elevation of 4900 meters, at the foot of Condoriri (el. 5650 m.a.s.l.). Booking and confirmation:Our customers can book their trip via phone, e-mail or visit the website to fill in a reservation form. Once confirmed the booking, the customer will have to make an advance payment to the Bank Account of Koa Travel. If due to unforseen circumstances the client is not able to take part in the Tour, Koa Travel will reimburse less any payments already made to third parties. The customer may cancel the travel contract, via email or when security conditions are not suitable for the risk of political violence or uncontrollable natural phenomena. • Up to 9 days before the date of journey 50% of the total price upfront. Minimum 2 passengers required for tour, Koa Travel will inform the client before any financial outlay by the client. Koa Travel guarantees the services described on the website. Any changes to the itinerary that the client wants to perform, can only be possible if everyone in the group accepts this amendment. 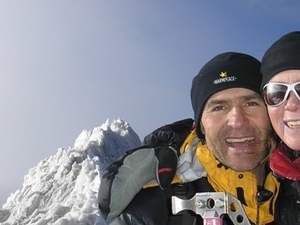 All customers of Koa travel, must have an international insurance trekking, mountaineering, and any type of tourism on nature, involve risks of, fractures, sprains and other inherent in the activity. Any claim for loss of personal effects, refunds, etc. Shall be in writing or email within 30 days of the end of the tour. In cases of air transport, road and rail delays and lost luggage are the responsibility of the aforementioned companies. Koa Travel can only intercede on your behalf but can not be held responsible for services provided by third parties. • Passport, visa, and vaccines requirements, will be informed by Koa Travel to customer in the first contact. The customer is responsible for his physical condition. All travel offers attached to the portal, are operated directly by the company and will only be used to engage the services of others, in extreme cases, for the success of the tours and expeditions.